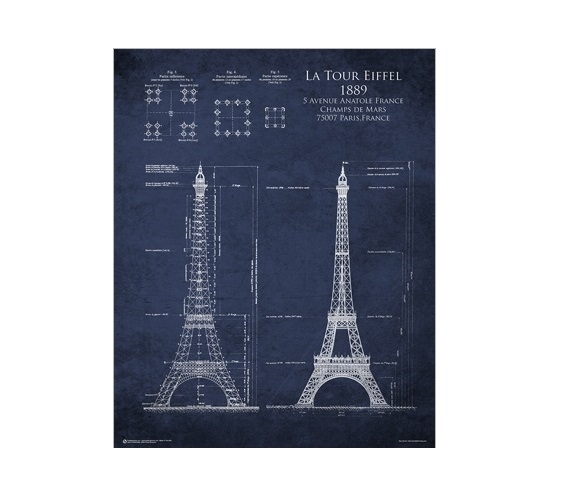 Add a little French Flair to your dorm room with this Eiffel Tower Blueprint Poster! A look inside the construction of one of the most iconic structures in the world will inspire you as you're laying on your dorm bed. This cheap college essential will add some much needed decor to cover up blank dorm room walls and add some of your personality to your shared dorm room. Why not choose this cool college accessory of La Tour Eiffel - it sure isn't going anywhere so why should your style just because you're living in a dorm room!